The first match up this weekend promises to be a memorable affair, with two teams very well matched. Leinster sit top of the Pro14 Conference B, with their opponents hot on their heels in second. They are so well matched, that their last meeting ended in a 10-10 draw a month ago at Parc y Scarlets. Both sides are also coming off shock losses from the previous weekend. Leinster were upset at home to Benetton whilst the Scarlets shipped over 50 points in Edinburgh. As alarming as these results are, it is hard to read into them as both teams were so depleted in anticipation for this weekend. Likewise, their draw in March is also a bit of a red herring, as so many players were on international duty. Both sides came off fantastic quarter-final performances though. The Scarlets overcame La Rochelle with their typical high tempo style, made even more impressive as flanker James Davies played on the wing for the majority of the game. However, the French side are not the team they were last year, as well as the fact that this was their first time out of the group stages in Europe’s top competition. Leinster, on the other hand, had a much tougher task against defending champions Saracens. They were clinical and ruthless and did not allow Sarries a chance into the game, as the experience and control of Johnny Sexton and Isa Nacewa allowed them to put their foot down when needed. They were happy to sit back and defend at times, with complete confidence in their defensive systems and ability to score points when needed. The most significant factor this weekend is likely to be the location. Although the Aviva Stadium is supposed to be a semi neutral destination, it is certainly not. Leinster opted to play the quarter-final against Saracens there and did a fantastic job. But the Welshman downed Leinster in the Pro12 semi-final last year at the RDS Arena, so there’s nothing stopping them causing another upset in Dublin. Getting giddy for this weekends @ChampionsCup Semi-Finals. Two great match ups that are tough to call. An all Ireland Final the dream but Scarlets & Racing have recent big game pedigree. The potential absences of Luke McGrath and Sean O’Brien may be telling for Leinster. McGrath, alongside Sexton were able to keep Saracens pinned back in the quarter-final, which is something that will be needed to curtail a terrific Scarlets backline. The Tullow Tank is also a colossal figure in the Leinster side, and although a man-of-the-match performance by Dan Leavy against Saracens proved they have the strength in depth, he is still a world-class player, who brings a lot of power alongside front-rowers like Cian Healy and Tadgh Furlong. Ultimately this game is on a knife edge. Wayne Pivac lead the Scarlets to the Pro12 title last year and, with basically the entire Welsh backline, playing some of the best rugby in Europe. But Leinster look indomitable this season, and can rely on the old adage of ‘been there before’. Buoyed by the success of the Irish in the Six Nations, they may just have too much this Saturday at home. Player to watch: Garry Ringrose. The Leinster outside centre is one of the most dangerous and elusive runners in Europe. Facing him is Scott Williams, an extremely powerful player, but can be caught out by players with the movement that Ringrose has to offer. Sunday’s fixture is maybe not as close as its predecessor. While both teams have had good seasons, so far; Racing in third of the Top 14, level on points with Toulouse, and Munster in second of Conference A of the Pro12, the Frenchman may prove too much for Munster at the Stade Chaban-Delmas in Bordeaux. Munster have had some big victories in recent weeks, overcoming the likes of Glasgow and the Scarlets, but they were less impressive at home to Toulon in the quarter-final. The men in red were lucky to not be a man down in the first minute after Simon Zebo’s dubious slap out of play was not deemed a penalty try. Toulon ravaged Munster for large periods of the game, and thanks to some desperate tackling, they managed to stay in the game. A fortuitous try to Conor Murray and a miraculous late try by Andrew Conway may have papered over cracks that Toulon exposed, and Racing may be able to exploit. Racing looked very impressive against Clermont Auvergne at the Stade Marcel Michelin in their quarter-final. The men from the Auvergne may not be the force this season that they have been, but the Stade Marcel Michelin is always going to be one of the toughest places to play in Europe. But Racing just look to be so complete this year. They have gone from a group of individuals, to a team. Maxime Machenaud and Teddy Thomas are in superb form. Deploying Virimi Vakatawa as a centre brings him into the game more often, as well, to complement the power brought by the likes of Yannick Nyanga and the world-class Leone Nakarawa, who seems unplayable at times. In the past, it was seen as extremely expansive play if Racing ever passed the ball beyond the inside centre. But with a masterful passer in Patrick Lambie at 10, the team play some very attractive rugby now. Then to have Dan Carter waiting on the bench, the team go from strength to strength. To those who thought the Kiwi was past his prime, he proved doubters wrong against Clermont. The break and pass for the Marc Andreu try was something very few, if any, players on earth could perform. The finest fly-half of his generation (or of all time) is hanging up his boots at the end of the season and will be hungry to add to his silverware. "I've got my last couple of months here, and I'm not going to slacken off." Keith Earls and Jack O’Donnohue are doubts for the match as well, and it is rumoured that Simon Zebo will be dropped. The Irishmen may just lack the firepower on the bench to match Racing, who will just get stronger as the game goes on. It was a monumental effort to defeat Toulon in March, but it seems unlikely that they will be able to overcome a much more formidable outfit. Player to watch: Donnacha Ryan. Whilst Ryan’s second-row partner Nakawara steals the headlines, the industry and abrasiveness of former Munsterman makes it an excellent partnership. Facing his longtime teammates will bring out the best in him. 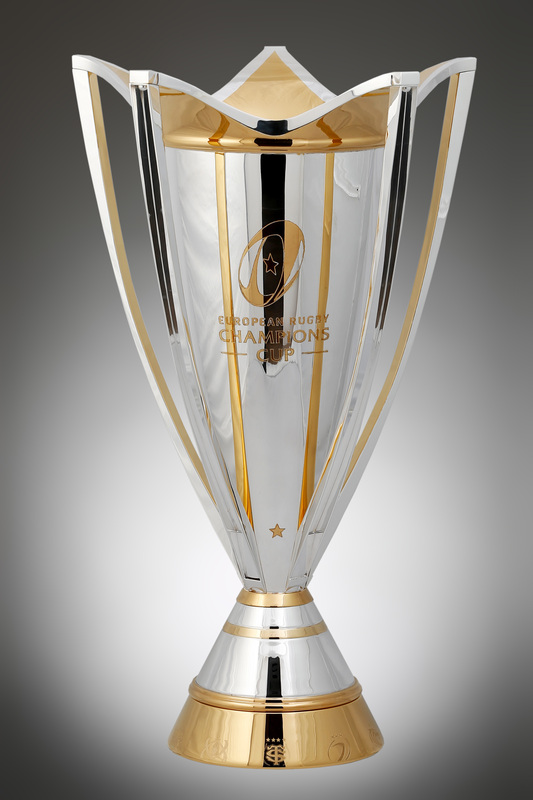 In the history of the Champions Cup (and Heineken Cup), 64% of semi-finals have been won by the home side. Don’t expect this weekend to buck the trend.